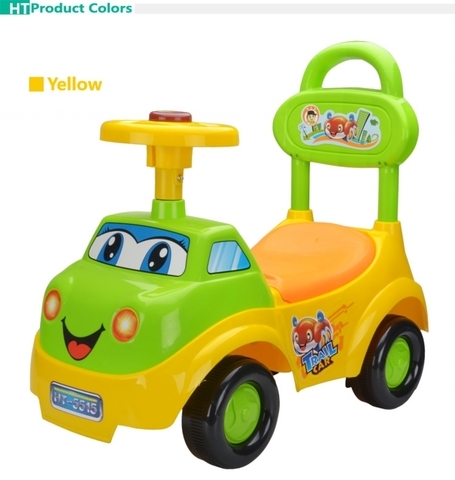 This is the most popular ride on car in the world. Its traditional design and simple structure make this wiggle scooter easy to play and maintenance. 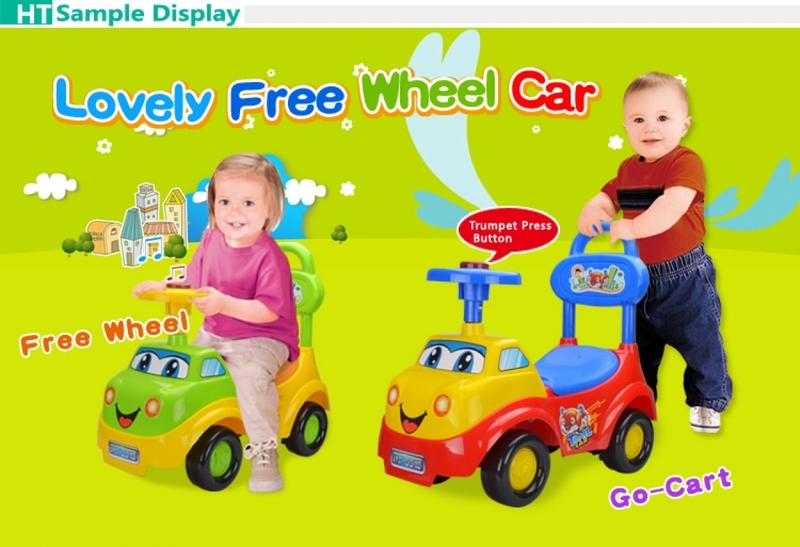 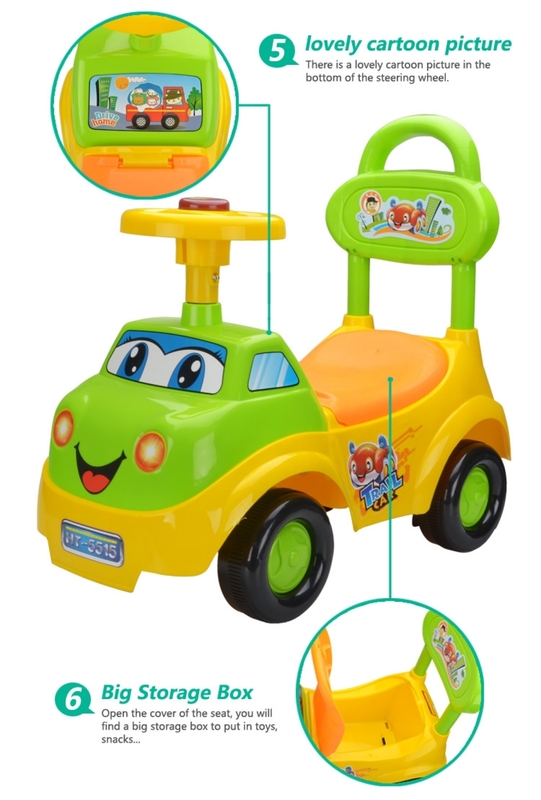 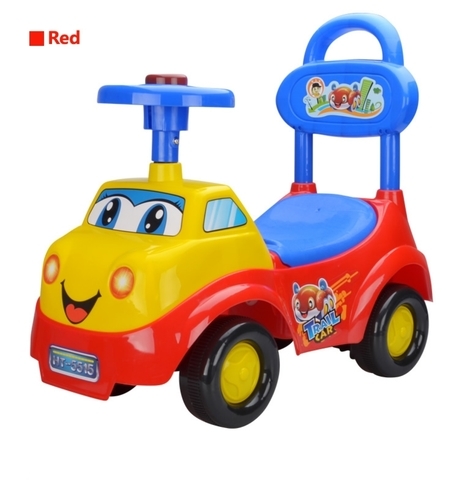 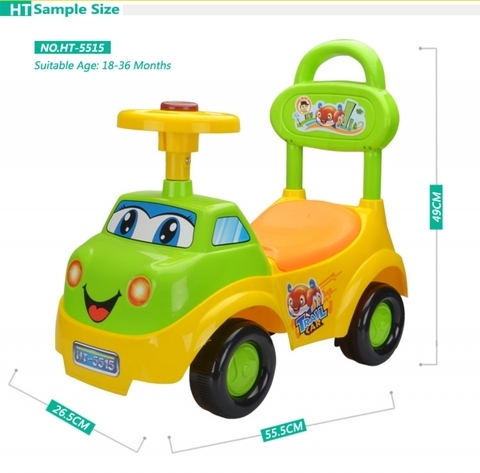 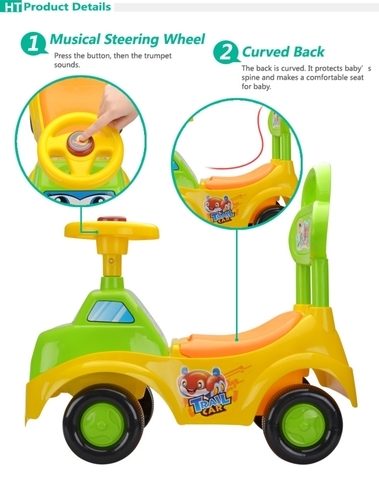 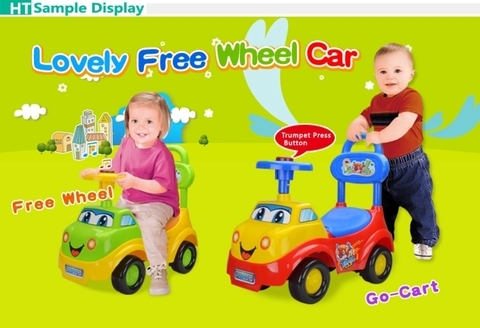 After turn on the power switch, your kids can touch the button on the steering wheel and hear difference sound effects and musics. 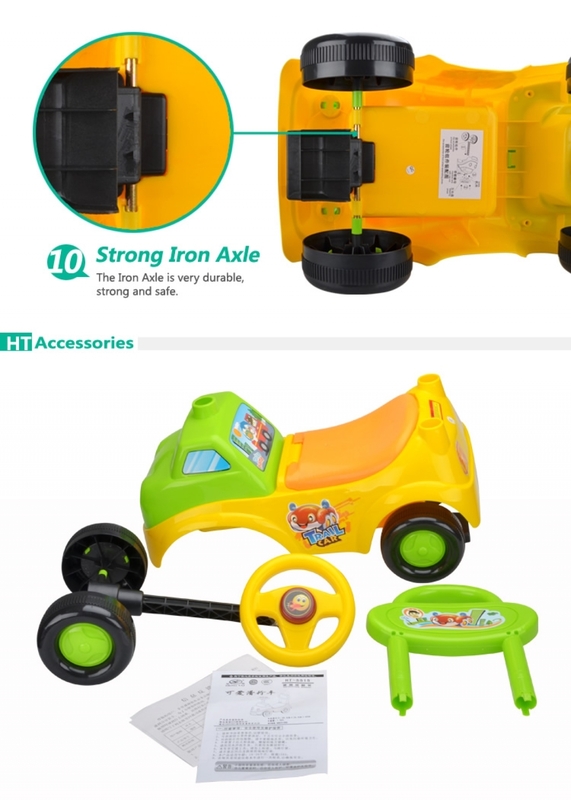 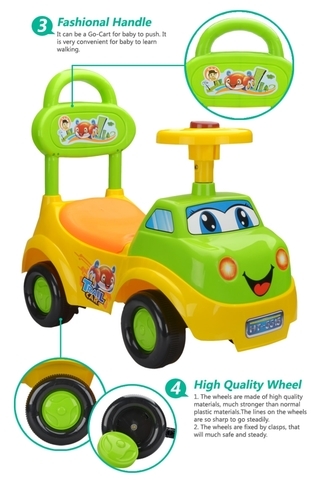 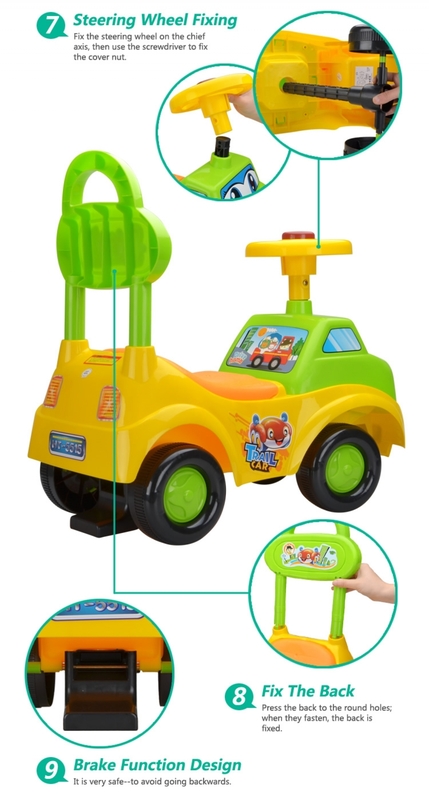 Get this amazing sliding toy car, and watch your kids growth.